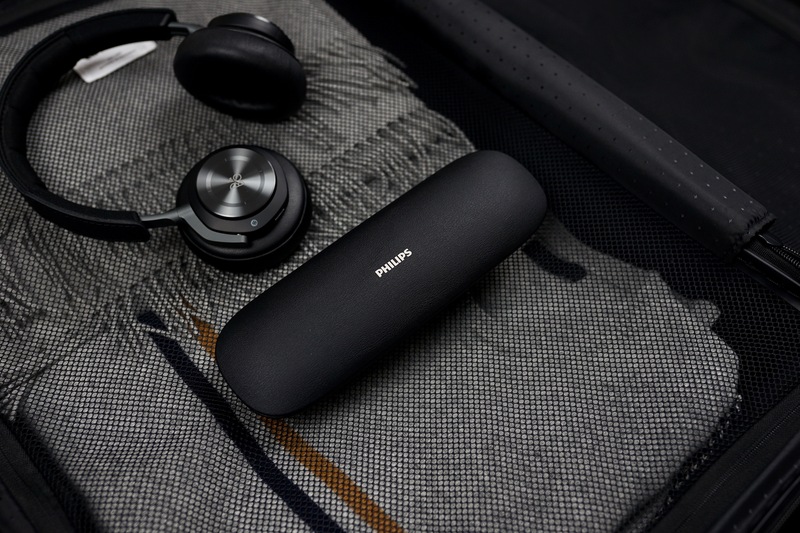 This blogpost is sponsored by Philips. 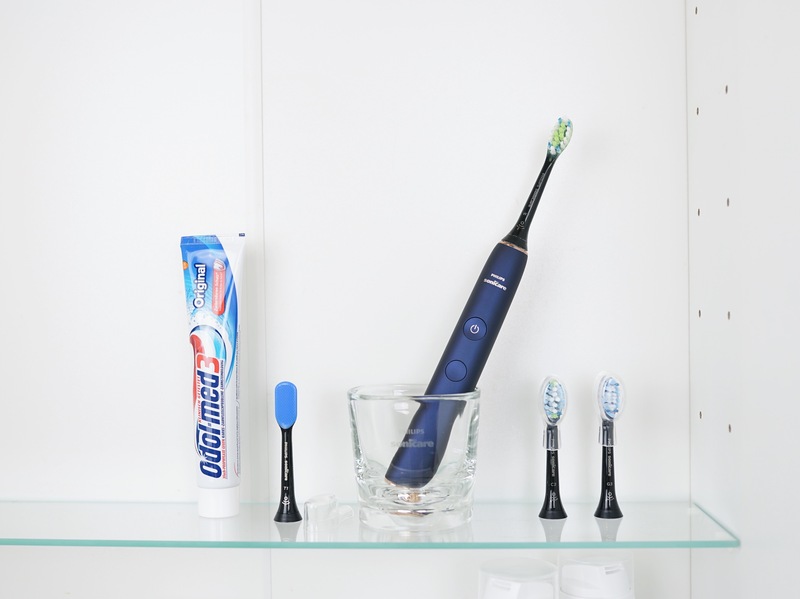 The Philips Sonicare DiamondClean Smart is a high-end series of electric toothbrushes. 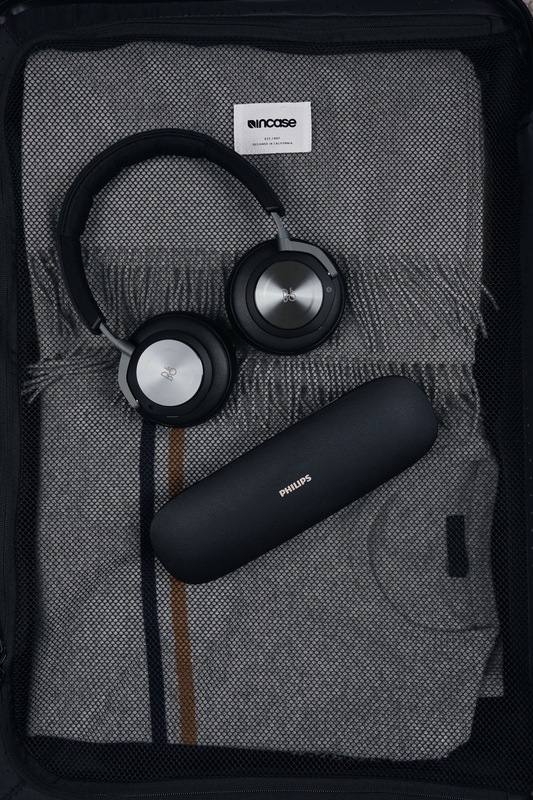 It’s the most advanced products released in the middle of 2017. 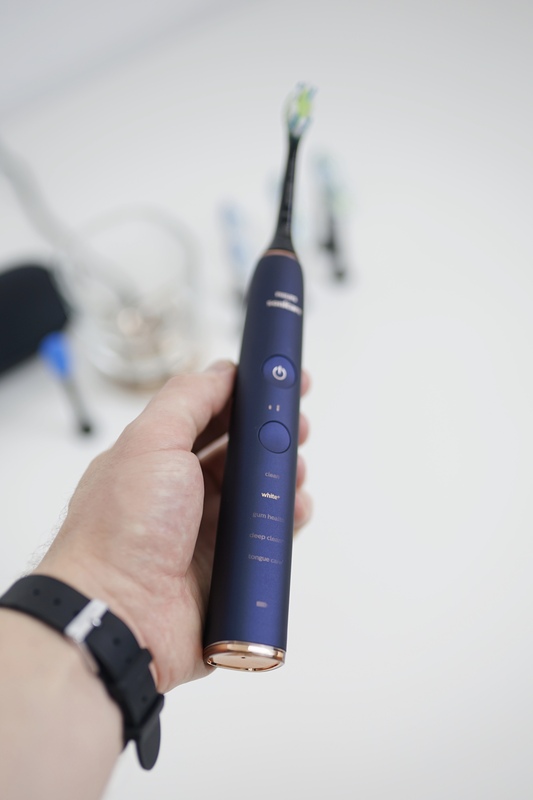 Philips called it “the world’s most intelligent toothbrush”. It comes in 3 different packages, the 9300, 9500 and 9700. 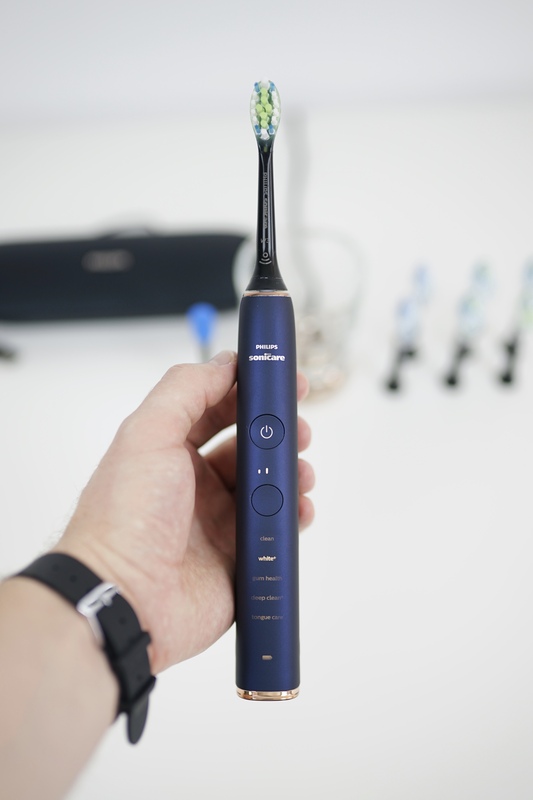 Our reviewing toothbrush is the DiamondClean Smart 9700. Philips Sonicare DiamondClean Smart series enables you to brush effectively and in style. The DiamondClean Smart toothbrush will make your teeth healthier, whiter, and clean. This sleek toothbrush has clean lines and overall beautiful minimalistic design. 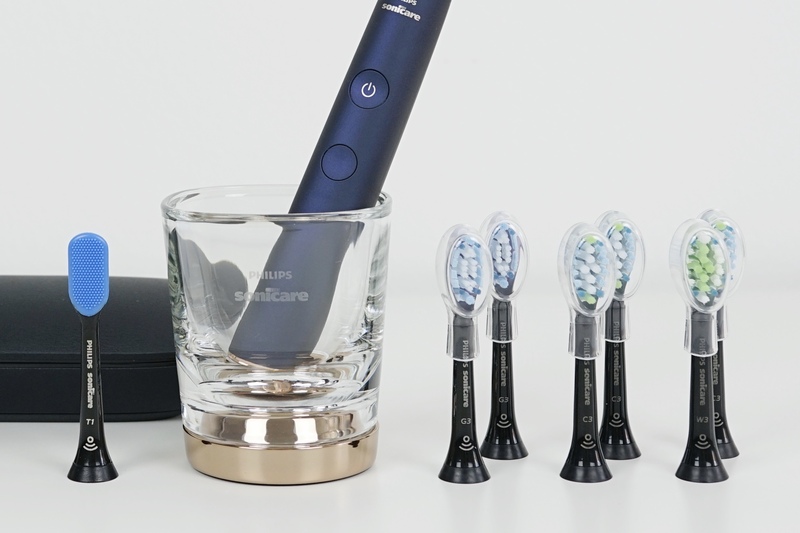 Since our reviewing toothbrush is the DiamondClean Smart 9700, it has the exclusive lunar blue color and we absolutely like it. The toothbrush is easy to hold and ergonomic. It is all one perfect piece. 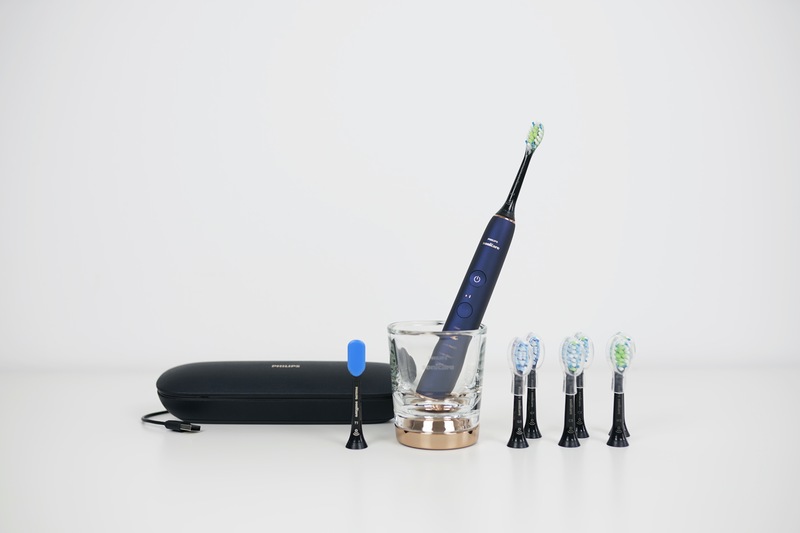 The DiamondClean Smart toothbrush has 2 buttons: the top button operates as off and on and the second button controls the intensity. There are LED series below the second button that denote the various brushing modes. Each mode has a different intensity and duration to achieve particular brushing goals. Here are the modes: Clean, White+, Gum Health, Deep Clean+ and TongueCare. Each brushing mode provides a different brushing intensity and time. For instance, clean mode lasts for 2 minutes, while the mode gum health adds extra time to let you pay attention specifically to the gums. You can switch between modes by pressing the second button without turning your brush. Once you select a mode, press the power button and the brush get turned on. You can change the intensity by again pressing the power button. DiamondClean Smart toothbrush comes with a selection of brush heads. The smart brush heads contain a little chip, which communicates with the toothbrush to let it know what type of brush head is fixed. Through this connection, the toothbrush automatically decides the optimal intensity and brushing mode to follow the brush head. If you want to change, you can change it. Brush heads wear-out over time and become less effective at removing plaque but the smart brush heads of the DiamondClean Smart toothbrush know how many times they’ve been used and remind you when it’s time to replace your brush head. Very useful! 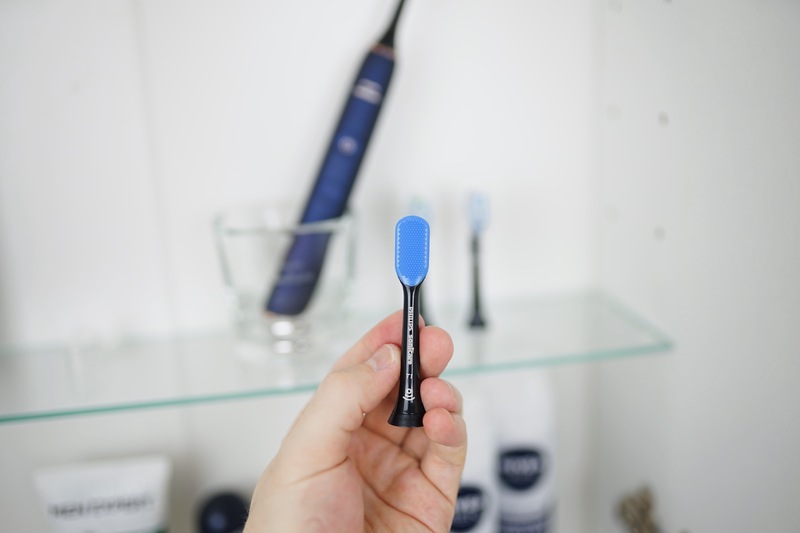 Each smart brush head contains unique properties to deal with a particular problem in your mouth. There are brush heads for gum care, dental plaque control, and teeth whitening, all with unique brush hardness and designs. 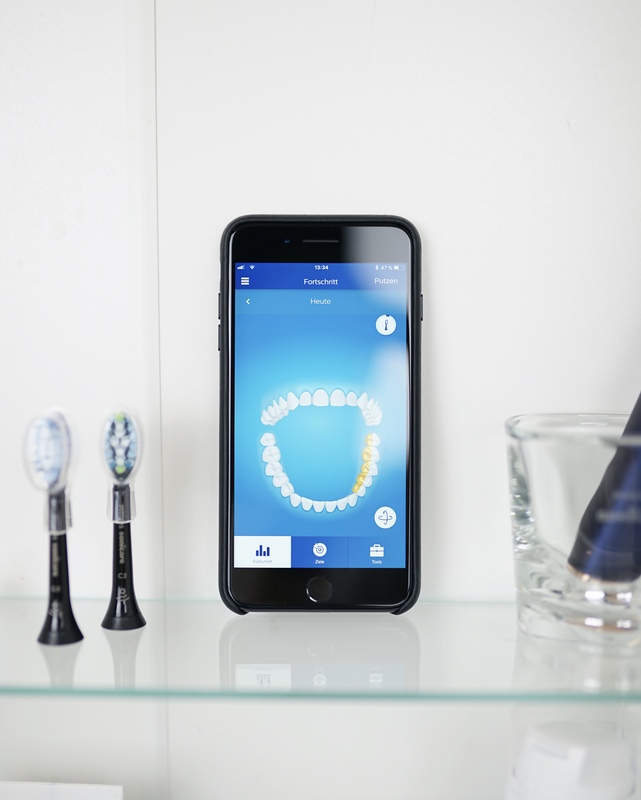 While you can use this DiamondClean Smart toothbrush completely without the app, it is designed to be used with the app. 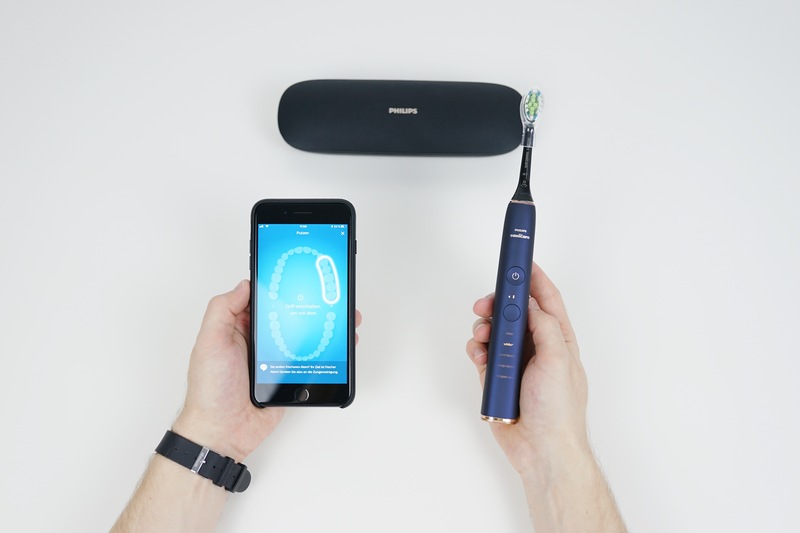 The toothbrush connects to your iPhone using bluetooth and you can see how you are brushing the teeth and making progress in real time, with the app. 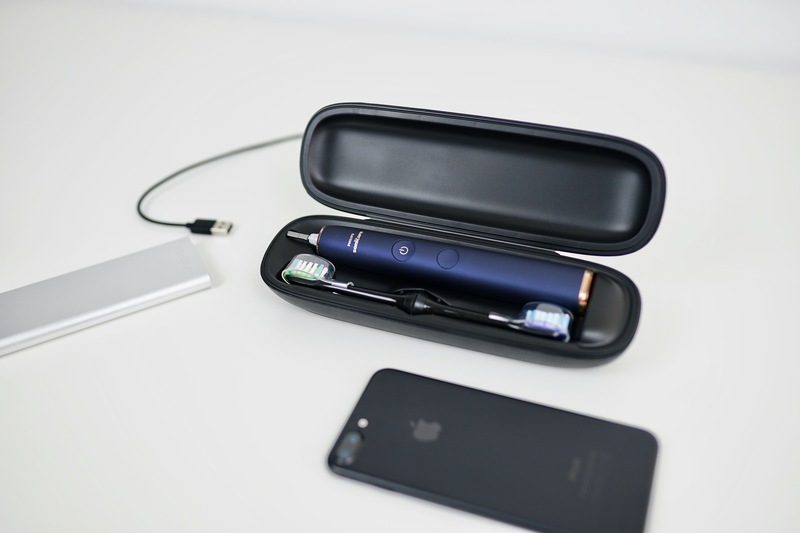 Just open the app, take out the DiamondClean Smart from the charger, and begin your brushing session by pressing the power button. 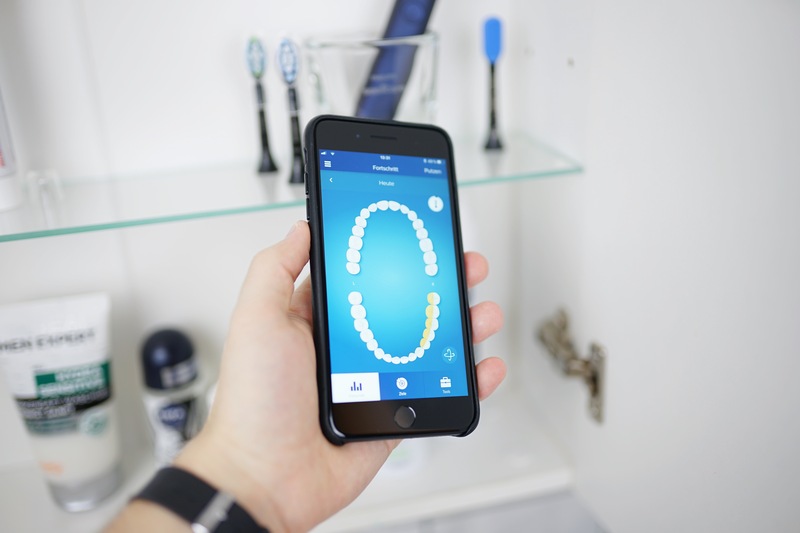 The app shows a model of your teeth set on the display, and while you brush, it keeps a record of how much time you brush in each part, allows you know if you are moving the DiamondClean too much, and ensures you are not putting tooth much pressure. When using the DiamondClean Smart toothbrush, despite which brush mode you select, brushing is separated into different sections so that you get your entire teeth cleaned. Here is how brushing is divided: bottom left, bottom right, bottom middle, top left, top right, top middle. The brush will buzz before moving on to a new mode. Therefore, every tooth goes with a complete brushing when it is time to a new brush mode. Once a brushing session is finished, the app shows you which areas you didn’t brush and adds additional time to the timer. Then, you can go back and brush those areas. Furthermore, the app also asks whether you have brushed your teeth, tongue, and rinsed, and tracks that data. Did you know that 80% of bad breath comes from bacteria hiding within the surface of your tongue? It sounds crazy to a lot of people, but brushing your tongue with the TongueCare+ mode and brush heads really helps keep your breath fresh. With the TongueCare mode you will be guided to remove the bacteria that causes mouth odours from the pores of your tongue. The matching brush has 240 micro bristles to clean bacteria and food debris. It feels nice to use and Philips has obviously put a lot of thought into it. We love this feature! 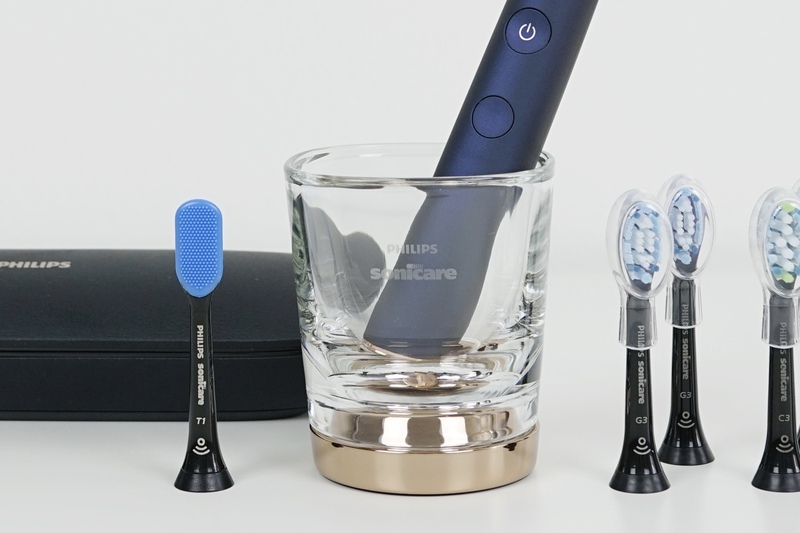 The DiamondClean Smart toothbrush charges in a beautiful glass cup, which is connected to the charging base. It uses inductive charging. 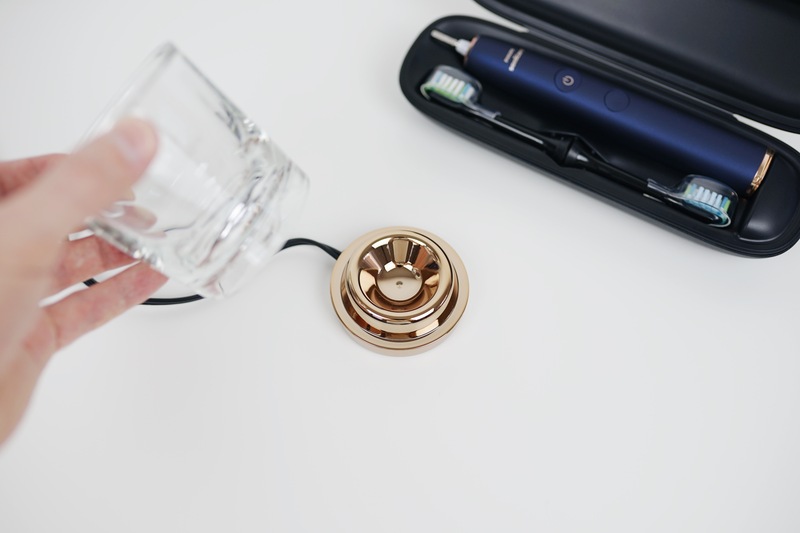 Thus, for charging Philips Sonicare DiamondClean Smart, you simply stick it inside the cup. While charging, the toothbrush contains some great features. It creates an audible sound when the toothbrush is placed in the charging cup so that you realize it is in the right position. And when the toothbrush is first stuck in the charger, the base will glow brighter. 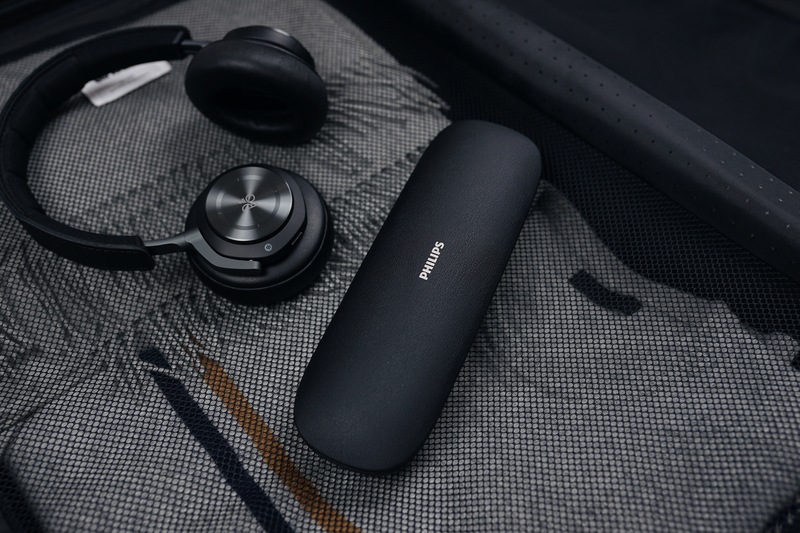 The 9700 also provides you a sleek looking travel case with a USB charging port. The travel charger is made by using a quality soft-coated plastic. Inside, it contains cut-outs for the brush and 2 extra brush heads. 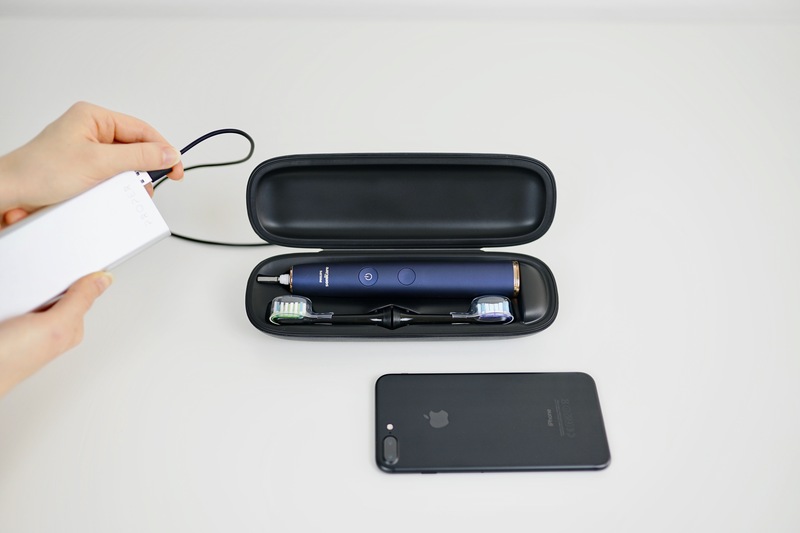 The travel charger is designed to keep and charge your DiamondClean Smart toothbrush while on a tour. Bottom of the travel charger contains a built-in cable. You can plug that cable into any USB-A port to charge. When it is not used, the cable tucks in below the plastic piece that covers it from sight. The Sonicare DiamondClean Smart toothbrushes are highly recommended. They offer a much better clean, they are gentler on your gums, and they motivate you to brush for an optimal amount of time than you can get with a regular toothbrush. With good oral hygiene, your mouth will be healthy and free from dental plaque, cavities, gingivitis, and other dental problems. 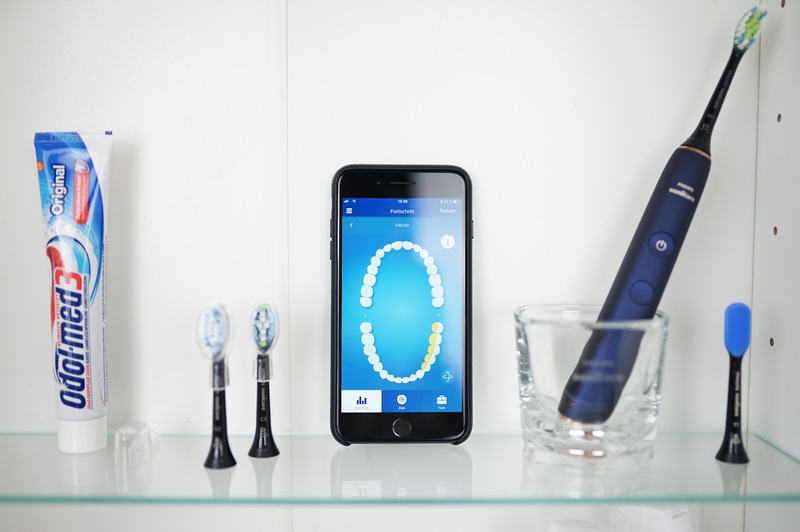 The DiamondClean Smart toothbrush specifically is a perfect choice if you require reminders to brush your teeth, have problems in your mouth, or just want to track how you brush. Having a beautiful design, separate intensity modes, and brush heads, you will get an advanced brushing experience. 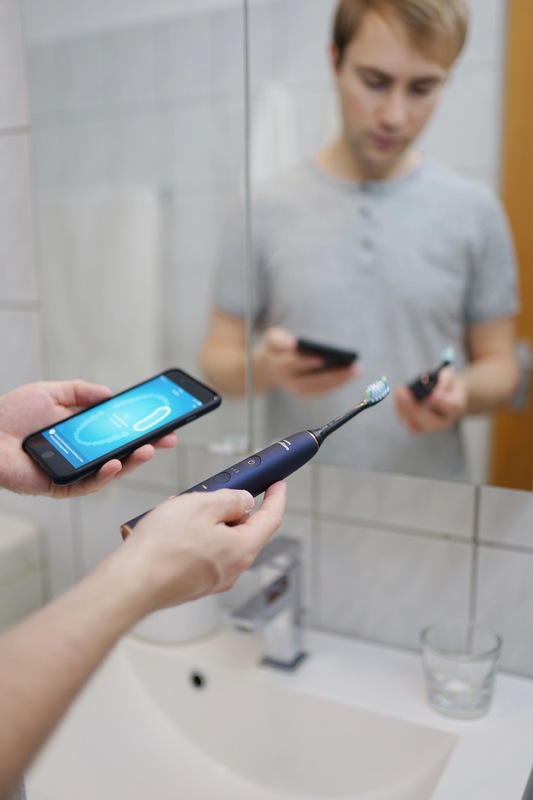 Stick the DiamondClean Smart toothbrush in your mouth, move the brush where the app says you to move, and you are assured a full clean. 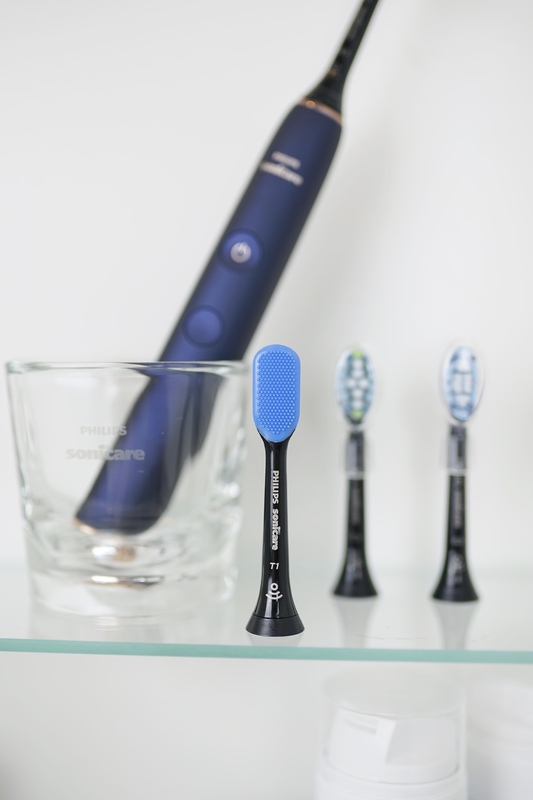 If you would like to learn more about the Sonicare DiamondClean Smart toothbrushes head over to their website.